In the early days of the web, the contents of web pages were largely static. And these web pages must be permanent, but changed manually. Hence, there was an urgent need for the enterprises to build websites that are dynamic and are updated automatically. During that time, Microsoft’s Active Server Pages or ASP was delivered to the market to meet this requirement. Basically, ASP runs on the server-side, and sends its output to the user’s web browser. This enables the server to generate dynamic web pages based on the actions of the users. Thus, ASP.NET has greatly captured the web development industry, and it is now among the most favored technologies to build dynamic websites, feature-rich web pages and web-centric applications. The two main things that make ASP.NET fast is caching and compiled code. In previous days, whenever a visitor views your web page, the code was interpreted into “machine language”. But with ASP.NET, the code gets complied into “machine language” before a visitor views your web page. On the other hand, caching stores all the data or information that can be used again in future for faster access. Also, ASP.NET allows the caching of the data from a database, therefore, your website is always faster even after frequent visits to the database. ASP.NET automatically recovers from errors and memory leaks. This helps you to ensure that your website never gives an error message to your website visitors, and also ensure that your website is available to them whenever they require. 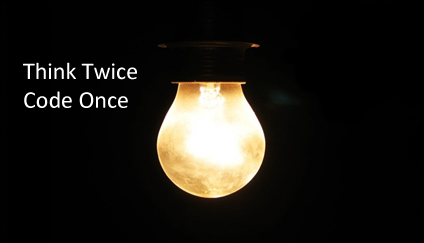 It is important for every business to have no downtime, no matter it is just for few minutes or several hours a day. Because even a simple issue may leads to serious losses, and this may impact the reputation of the business. This is the main reason why a huge role in the website plays its reliability and stability. ASP.NET technology increases the degree of resistance to various types of malicious attacks and hacking websites built on it. Therefore, if you use ASP.NET to build your website, then your website will always be secured. 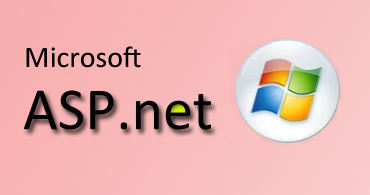 Microsoft .NET platform consists of several embedded technologies for the integration of information systems and other applications, such as XML, JSON, WCF, remoting, service web, and so on, with the ASP.NET exists as a part of it. Because of the availability of these multiple solutions, this optimum technology is probably selected for each individual case. This will make sure flawless performance, scalability, and mostly security. Using ASP.Net, developers can able to write their code on more than twenty-five .NET languages such as C#, VB.NET and Jscript.NET, and this provides the developers ease of use of language that they are expert in. This way the developers can able to build or customize your website based on all your business requirements. Thus, ASP.NET web development has emerged as the de-facto standard in developing dynamic websites and feature-rich web-based applications on a global basis. This is mainly due to the robust framework of ASP.NET, and also the strong support base that this technology has been able to build over the years. You may be developing a small enterprise website or a huge corporate web application distributed across various networks, ASP.NET will provide you all the features that you could require for your business, possibly at reasonable costs.